We are passionate about child abuse prevention education! We spend a lot of time researching and developing new educational resources for schools and childcare settings. This way teachers and educators have access to the most up-to-date, innovative and relevant child abuse prevention education programs available. At Safe4Kids, we know how busy you are. We are aware of the demands that are placed on teachers and educators to deliver more and more information to children and students. We have developed our education programs for ease of use. They are user-friendly, accessible and most importantly, contain up-to-date and relevant information. Our programs take a long time to develop. We can only offer them when we are happy that they are the best products available. This is to ensure we help you deliver this essential education to the children and students in your care. At this stage, we have one education program available – The Safe4Kids Protective Education Program. In 2018 we will be releasing a new program, which we think you will be excited about! If you need any further information about our child protection education programs, please don’t hesitate to contact us. We are here to help you! 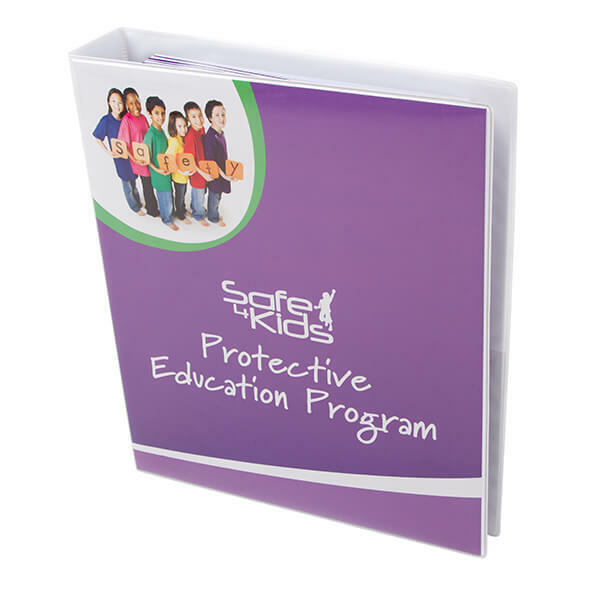 The Safe4Kids Protective Education Program is one of the most comprehensive child protection education programs available. It is designed specifically for early years educators in childcare settings, and primary school teachers. The program is appropriate for children aged from three years, and for children with special needs. For more information on the Safe4Kids Protective Education Program click on the image below. International customers, please contact us for shipping costs.